All too often the chairs of our homes are overshadowed by the larger pieces of furniture taking centre stage in the room. Should this always be the case? With minimalism playing a big part in today's design world, it is easy to now have a chair as the centrepiece of a room, serving both a functional purpose as well as a decorative one. So take a seat and check out our selection of a few of the more exciting examples of unique chair designs, from four legs to two, denim to leather, these are the wackiest chairs we could find. What an amazing and original chair design from Duffy London. 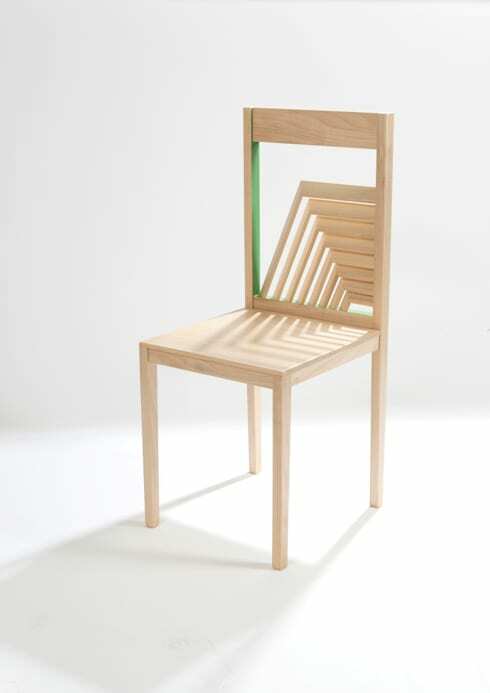 Without a shadow of a doubt, this chair will have you mesmerised. No, it’s not a magic trick, the secret is that the shadow is actually part of the chair. 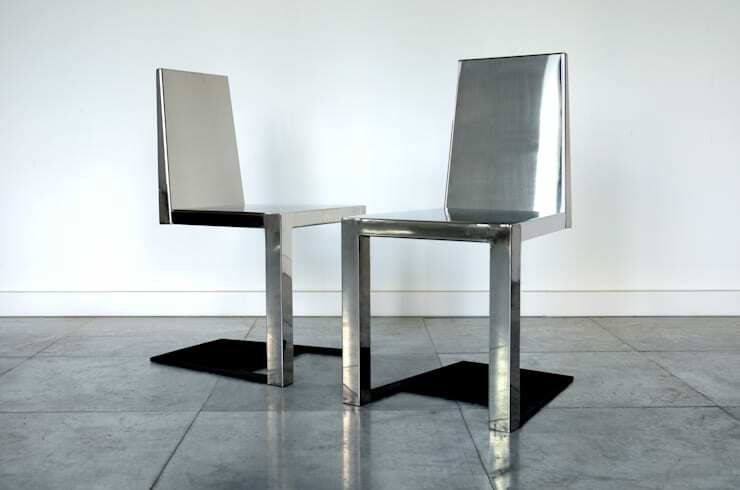 With only two legs, and its polished stainless steel finish, here at homify we love this simple and ingenious design, all put together into one clever chair. This is a great example of an artistically designed chair, with its unpolished timber finish and the square void designed back. The lines and shapes of the backing of this chair allow the light to shine through, creating shapes and shadows resembling those of a slatted timber ceiling. 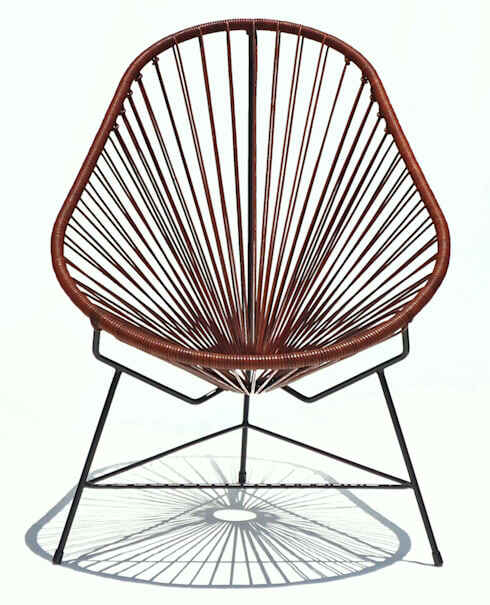 A beautiful chair from Mexican designers Ocho Workshop, made of leather with a powder coated iron frame, the thin leather straps allow for light to shine through. As with the timber chair shown earlier, the light shining through inspires lines and shadows. This chair is reminiscent of its homeland, reminding us of a straw cabana on a sun-drenched Mexican beach. This camping style chair design, invented in Buenos Aires in 1938, has stood the test of time for over 80 years, with chairs of this design still being produced today. We love to thick leather backing of this chair paired with the copper frame to give a rustic, yet modern look that is sure to stand the test of time for years to come. As the art of film photography is slowly (and sadly) phased out and replaced by digital, this chair honours the art of film, resembling a roll about to be placed in the back of a 35 mm camera. As we move into a forever digital age we know those found of analog era will love this chair. Bold prints have always featured in homes as hanging wall art, and as you can see in the pictured chair, this same concept works just as well with loungeroom furnishings. We love light handed brushes of blue, mixed in with the splash of blue, working well together to give a mixed affect. Nanna's rocking chair meets clean Scandinavian furniture design in this beautiful low back rocking chair that is sure to grab the eye. The light timber finish indicates this modern take on an old classic would look great on a timber verandah or even in a modern loungeroom. Dont these cute and creative chairs remind you of being young? Do you remember enjoying a slurpee in the summer sun, drinking from bright twisty straws? Drawing inspiration from these days the designers of these chairs have created a fun an light hearted take on the simple chair. 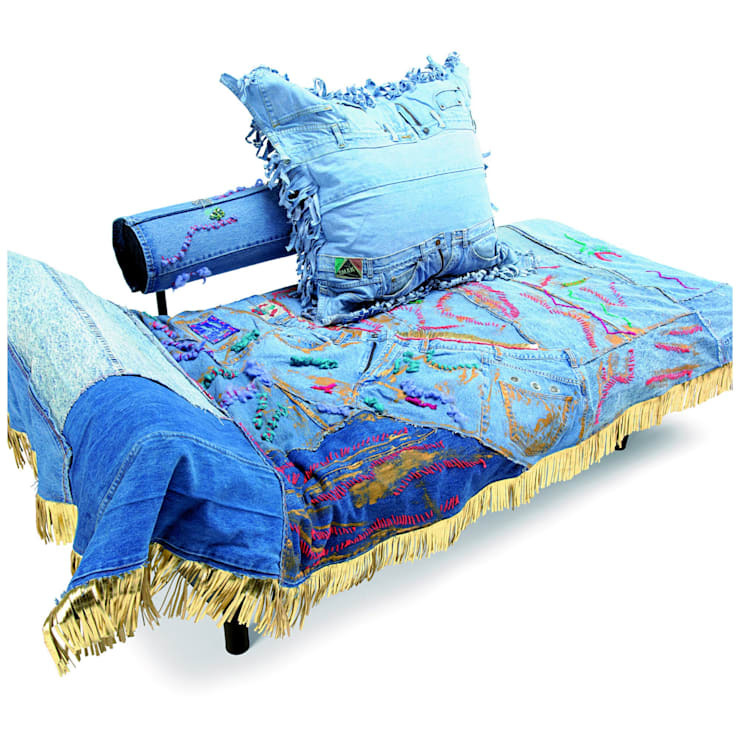 Fashions of the 90s have made a strong resurgence in recent times, and with double denim being no exception, it was only a matter of time until reclaimed denim was used as a couch material. 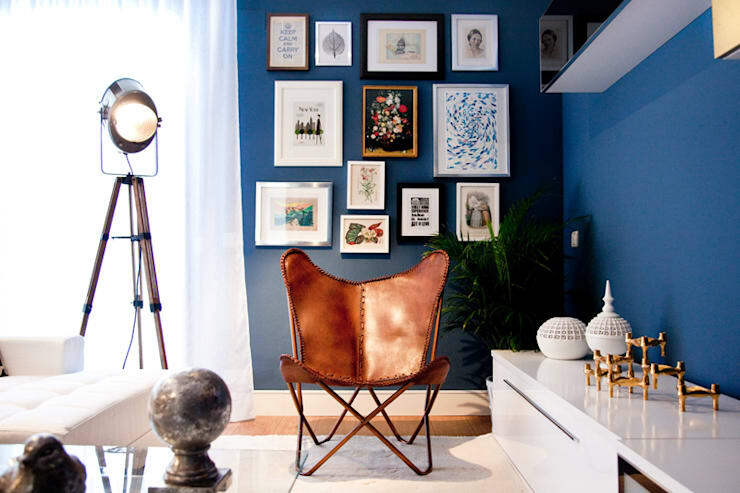 Here at homify we love this eclectic chair and cusion combo, complete with different tones of denim, and embroidery throughout, we're sure this chair will help you relive some of your best memories from the 90s. Looking more like a sunbed that has tipped over in the wind, this is actually a chair designed for enjoying the sun sitting up. 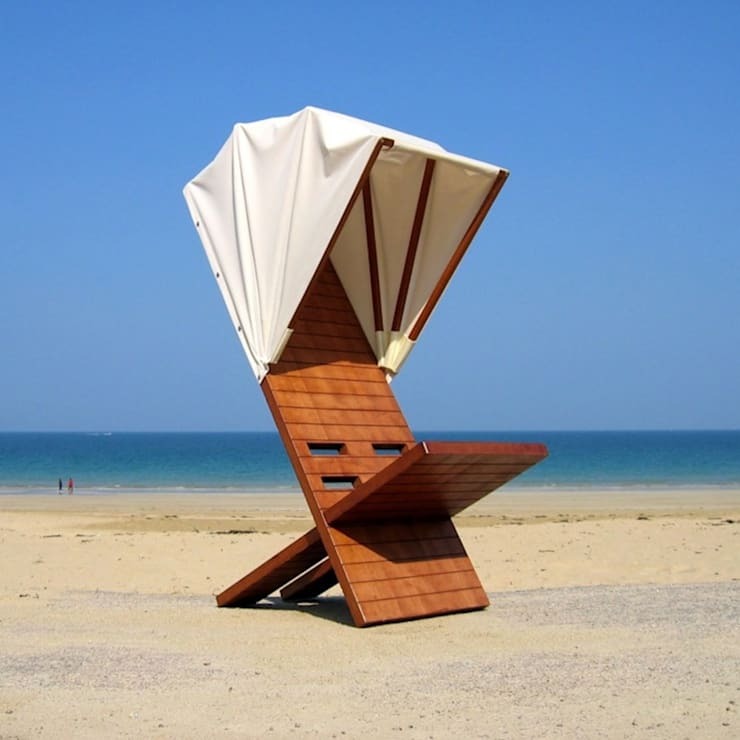 Complete with its own sun awning for one, this chair is great for those of us who want to enjoy the sun's rays without that inevitable feeling of wanting to drift off to sleep. A chair like this is suitable for parents wishing to keep an eye on children playing on the beach, or in a poolside setting. Which of the above chairs is your favourite? Let us know in the comments section below.